Our Construction & Design service is developed for customers who seek a customer unique solution. It is becoming more and more common that we construct special and unique packaging. 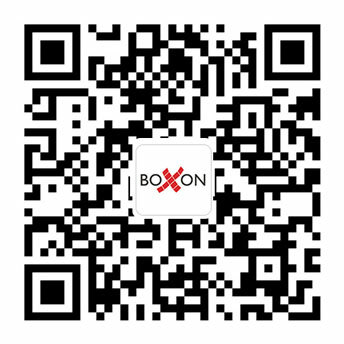 Boxon has great knowledge and experience and a well developed C&D department where our own CAD-designers creates customer unique solutions based on your needs. 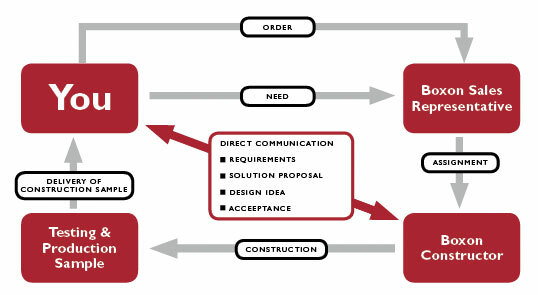 The process is careful and include several control points where we together work our way up to an optimal and cost effective solution that is unique for your products. Our in-house CAD designer creates a customer-unique packaging solution that precisely meets your needs. Access to cutting tables allows us to quickly and easily produce a sample in the right quality and design to let you see what the new solution could look like. The fact that we are not dependent on any one particular material or manufacturer means we can always find the best solution for each unique project. 3-D drawings and product creation, 3-D design options and packaging visuals, in-house sample manufacture, independent tests via Innventa, educational packaging instructions – all this is now available as part of C&D at Boxon. – Our C&D-team construct a prototype for testing. – For expensive products that will be transported around the world, we offer our customers to pre-test the package in order to be sure that it is up to standard. – We offer you packing instructions to facilitate the implementation of new packaging or packaging routines for new employees. This helps if you for example have sites in several countries. 3D images and instructions are provided in pdf format. Each project is a challenge, which our constructors really appreciate. It is important to think right, smart and functional. Over the years we have built up a knowledge base and can very quickly see a picture of the solution, what materials should be used and what partners that work best for the specific solutions.